After a summer of fighting for gun reform, Parkland students are back in class. Marjory Stoneman Douglas High School students are headed back to class today in Parkland, Florida, six months after 17 people were killed in a shooting. Some of the students returning spent the summer working as full-time activists and traveling across the country with "March for Our Lives" to fight for gun reform. 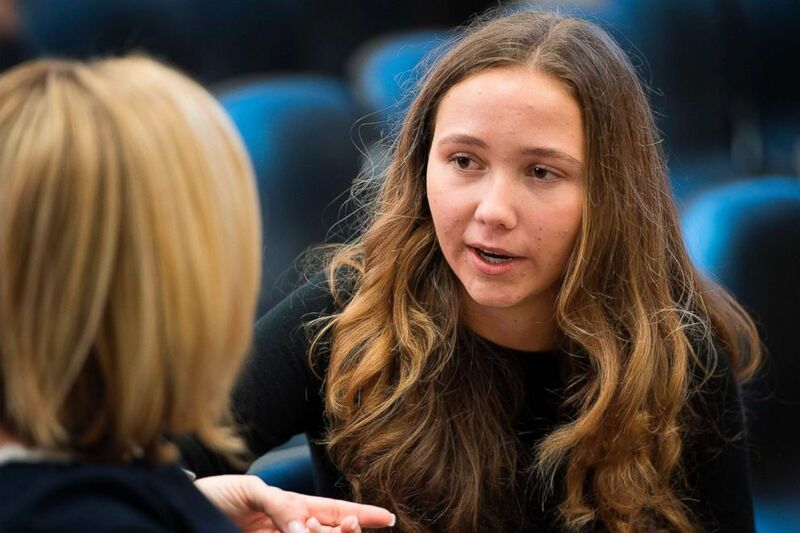 One of the youngest members, 15-year-old Lauren Hogg, told ABC News' "Start Here" podcast that she's going back to school as a sophomore knowing "it's never going to be normal again." "I wish we didn't have to experience this new normal," she said. "I wish it was just like every other year -- I'd pick out my clothes, I'd have a good time -- but this year, I can't help but constantly think about not only myself and my friends at my school, but constantly thinking about my friends at other schools who don't have as many safety precautions as we now do, and I worry about them." (Jim Watson/AFP/Getty Images, FILE) Lauren Hogg, a student from Marjory Stoneman Douglas High School, speaks during a panel on ways to improve school safety and promote student well-being on Capitol Hill in Washington, March 23, 2018. Earlier this month, Broward County Public Schools announced new security measures for its schools, including adding 2,500 cameras to a network of 10,000 upgraded surveillance cameras on school campuses, placing at least one school resource officer or an armed school safety officer on every school campus, holding more frequent lock-down drills, and expanding mental health services. The district is no longer requiring students to carry clear backpacks, a rule that was mocked by some students when it was implemented, including Hogg, who tweeted at the time: "My new backpack is almost as transparent as the NRA's agenda." She told "Start Here" she was "kind of happy about" the change because she didn't think the clear backpacks "were very helpful at all." 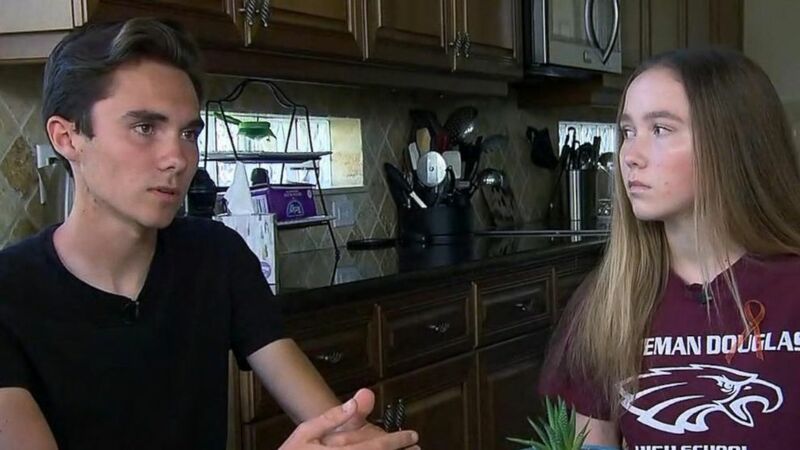 (ABC News) Lauren Hogg, 14, and her brother, David, 17, talk about the mass shooting at their school in Parkland, Fla.
She and her brother David Hogg gained national attention in the wake of the tragedy when they became leading voices in the debate over gun control - one that she knows will continue in the coming years. "I'm the youngest one in the original March for Our Lives group and I'll be there for three more years, so you don't have to worry about us giving up." When asked what she'd say to the freshmen today, Hogg, who was a freshman herself when the shooting took place, said bluntly, "It's going to be difficult," but added she would do her best to make the students feel welcome at a school that's "like a family." "I'm willing to welcome them with arms open, you know, like so many other kids at my school and we're just there for them because we want them to have that experience that we didn't get to have our whole freshman year." This story is featured in Wednesday's edition of the ABC News "Start Here" podcast.